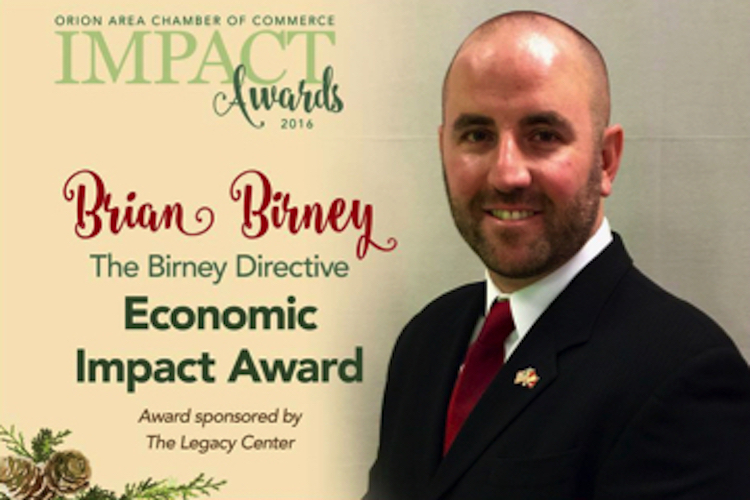 Congratulations to Brian Birney, the 2016 Economic Impact Award Winner, sponsored by the Legacy Center! Brian is the President and CMO of The Birney Directive which specializes in marketing strategies, social media, PR and overall communication for small businesses, private practices and events. He was also just elected to the Orion Township, Michigan Board of Trustees and is President of the Orion Area Chamber of Commerce.